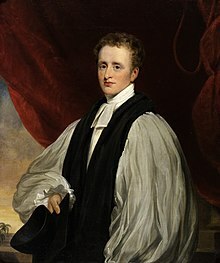 Church of England bishop, now remembered chiefly as a hymn-writer. "An Evening Walk in Bengal"
"Heber, Reginald," in Dictionary of National Biography, London: Smith, Elder, & Co., (1885–1900) in 63 vols. This page was last edited on 23 June 2018, at 04:21.